1. 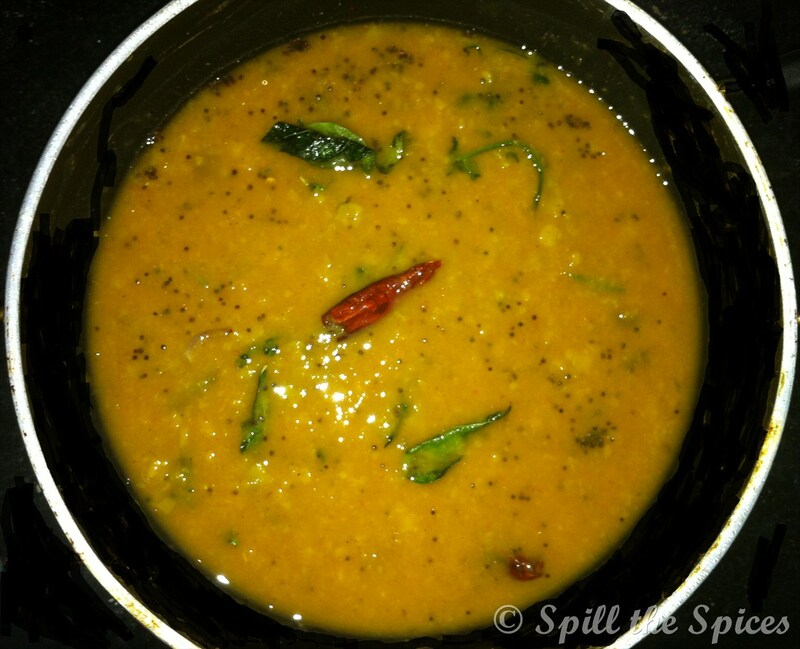 Pressure cook the pigeon peas/toor dal with enough water and a pinch of turmeric powder. Mash and keep aside. 2. Soak the tamarind in 2 cup water and extract the pulp. 3. In a vessel add the tamarind water and bring it to a boil. Once boil comes, add the small onion and cook in the tamarind water. 4. When small onion are cooked, add toor dal, sambar powder and salt. Boil well for 7-8 minutes. Add jaggery, stir well and simmer for 2-3 minutes. 5. Heat oil in a tadka pan and add mustard seeds, red chillies and asafoetida. When crackling, add curry leaves and pour into sambar. Garnish with coriander leaves.